Welcome to my new page for grooming. Please check back for more updates soon. My Oh My . . . what pray tell is this ? ? ? 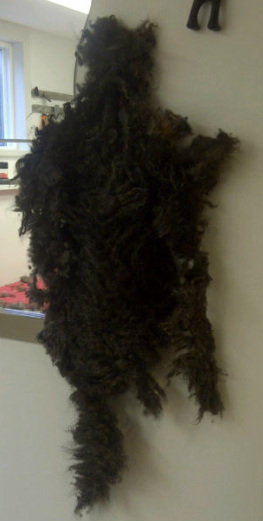 The shameful pelt of a Standard Poodle! 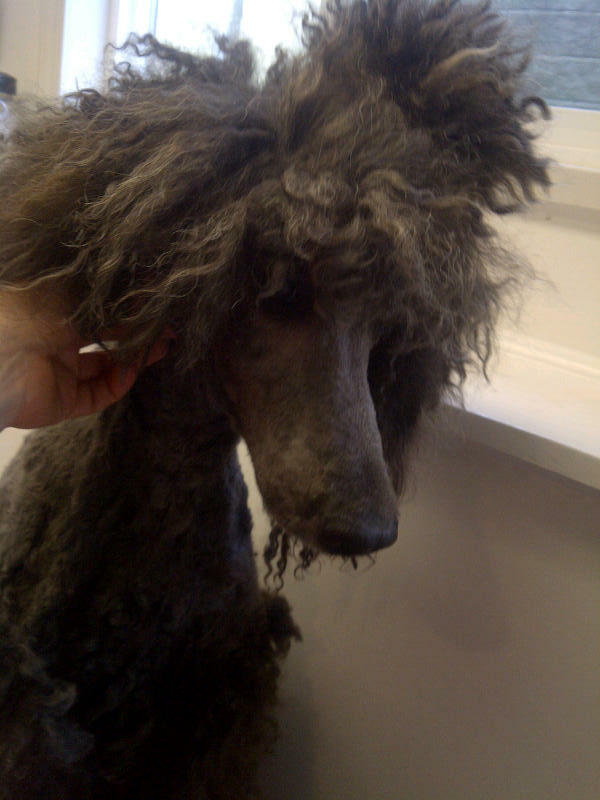 Poodle that has HAIR !!! 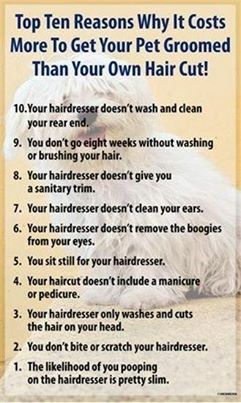 continually ... not so in to it ... then DO NOT get a Poodle!!!! purchase before you bring your puppy home. Have them show you how to use them properly. You must be able to see through to the Poodles skin!!! If you can not see the skin then you have a dog like SADIE below starting! solid balanced structure for a successful canine in our society! 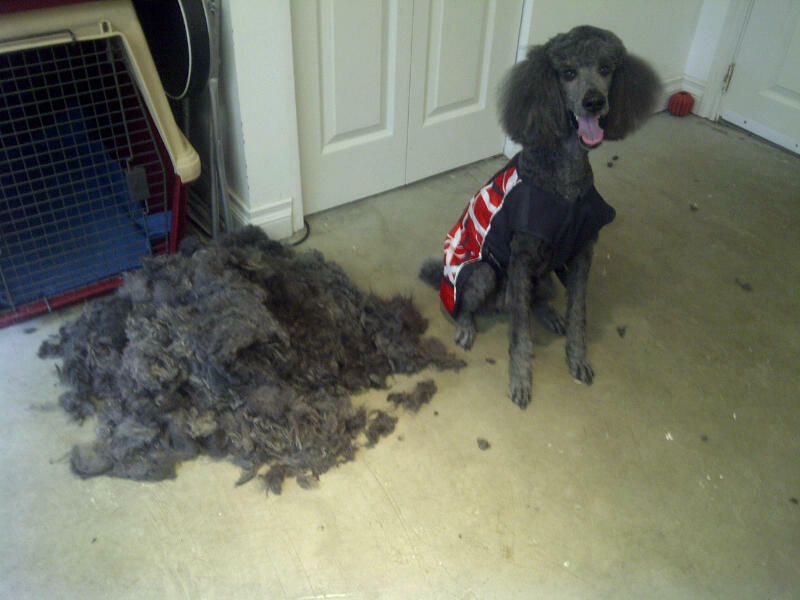 * Why you shouldn't shave your double-coated dog! Is this ungroomed . . .
Do you really like this look . . . ??? 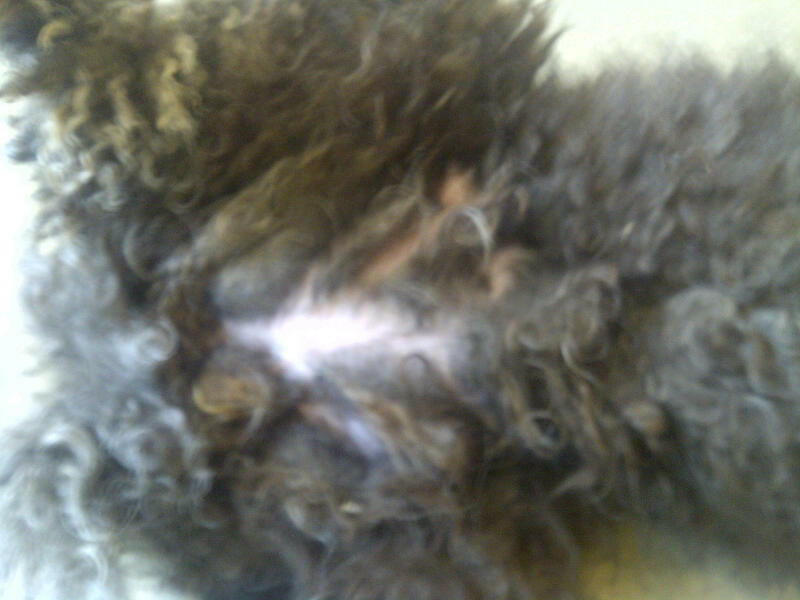 Her poor tender tummy all matted!! Imagine how tight the mats are pulling on that tender skin! IGNORANT STUPID people!!!!
. . . do you really know what . . .
Do you really think this is necessary . . . ??? A pretty face that we can now see!!! Poor girl!!
. . . is under those pretty mats? 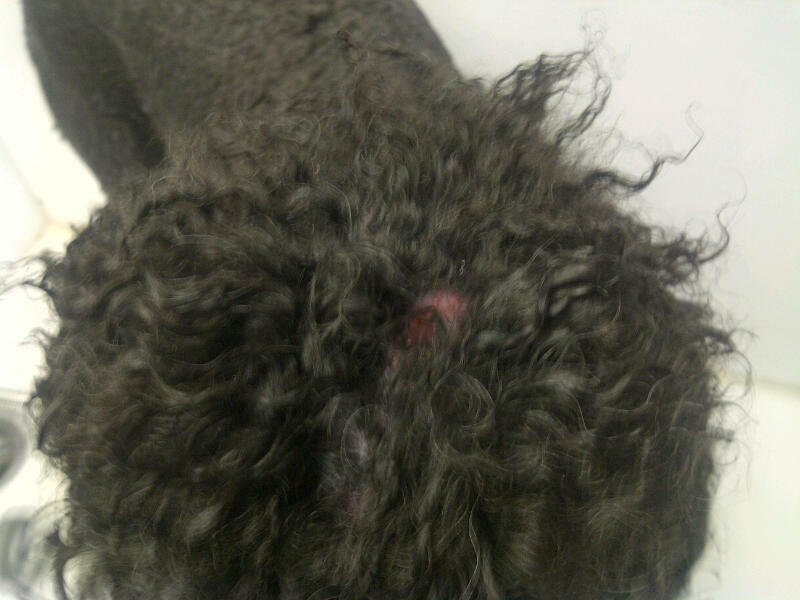 Yes that is an open sore on her head folks caused by an elastic band they forgot about!!! This poor girl must be so happy and relieved to get rid of that stinky skin pulling heavy weight off of her!!! This poor girl deserves NEW OWNERS desperately!!!! 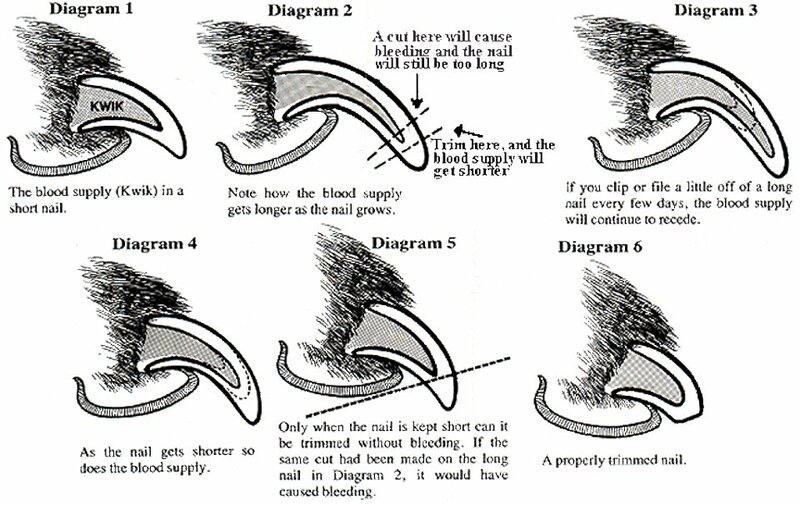 Please click photo to learn why long toe nails are HARMFUL to your dogs health!! Yes these are SADIE'S nails!!! 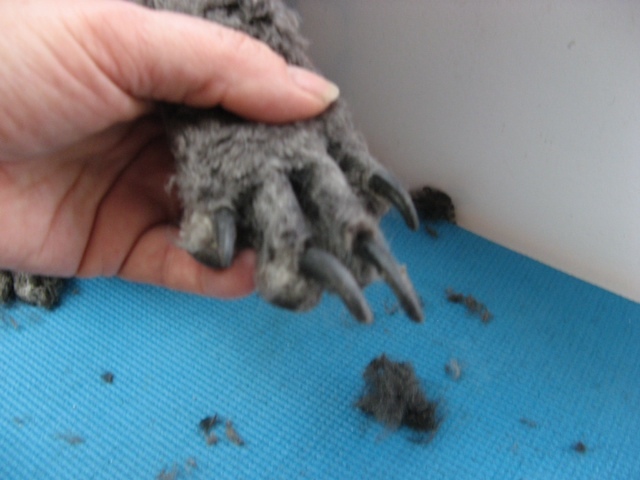 I would love to have the opportunity of having these long nails on my own hands and not see them on any canine ever!!! It is just plain abusive and neglectful! Can you believe a vet never said anything about the length to the owners!!! REALLY!!! How uncomfortable and painful it must be for the poor girl!!! This just makes me so very angry!!! I know the groomer has talked to them until the groomer is blue and I am sure purple in the face but they just do not get it!!!! I just get so livid that this poor daughter of my boy is being UNCARED for in this manner!!! It is NEGLECT and ABUSE pure and simple!!!! for reading. I always trim the nails first and then use the Dremel to smooth out the rough edges. Thank you for such wonderful information you have share with us all!! 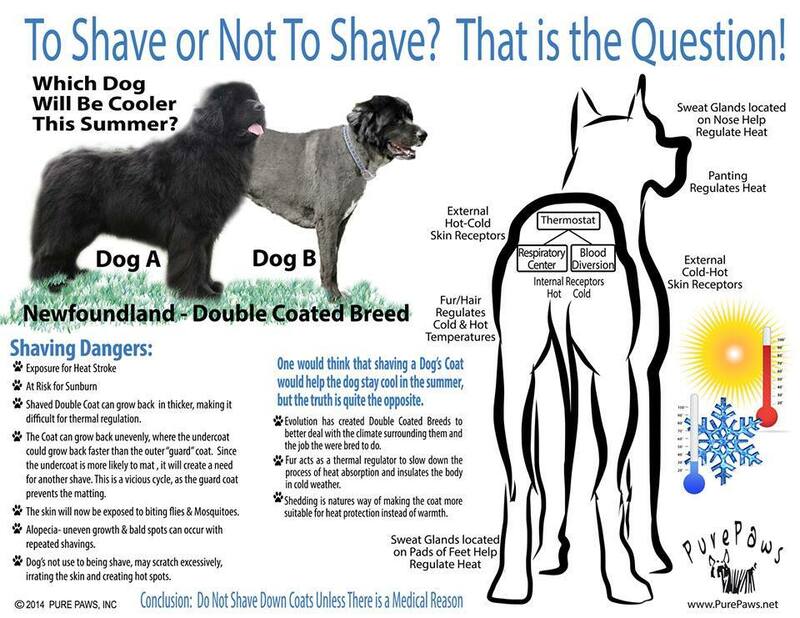 Feline Chlamydia - "Cat Pink Eye"
Why you shouldn't shave your double-coated dog! Click photo to read contents. * Sometimes a bruise is more than a bruise! 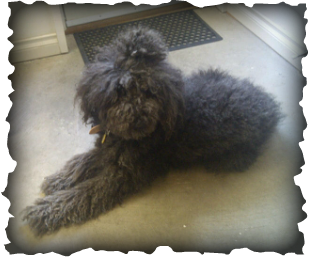 * Lainee Limited - color latex bands for a Poodles topknot and more grooming products! 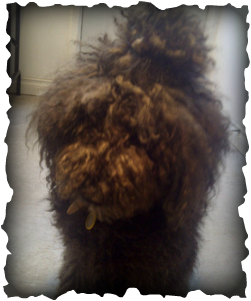 * Show Off - bands and grooming accessories for Poodles as well. * 3C's - Dog Show and Grooming Supplies, Washington, U.S.A. Most ear problems are caused by an infection in the outer ear. Staph, Strep and Pseudomonas bacteria, Malassezia or Candida yeast. Floppy ears, narrow and or furry ear canals and allergies also contribute to ear problems. The following symptoms indicate ear problems: Inside of the external ear will appear red and irritated, a brown waxy discharge may be present. Head shaking or tilting, and scratching which may cause bleeding or a musty odor from the inside of the ears. Guardians are frequently unaware of the degree of pain their pets may suffer with chronic ear problems. Serious injury or permanent damage may occur to the ears if infection is left untreated. Prevention and early treatment are key to treating ear infections. Fungus such as yeast dislike dry, acidic environments. Most pathogenic organisms of the ear canal grow best in an alkaline environment. Therefore, ear preparations may contain some type of acid, such as boric acid to lower the pH. Malassezia pachydermatis (yeast) is sometimes associated with ear problems, especially following treatment for pseudomonas bacteria. Gentian Ear Treatment helps dry up moisture in the ear and hasten healing while killing bacteria that may cause a secondary infection. It can be used as a routine preventative ear cleaning solution. Evaluate the condition of the ears before treating and if inflamed and sore do not attempt to pull hair or clean out the ear. Gently flush the ear with Gentian Ear Treatment and allow the dog or cat to shake out any excess. Treat twice per day for the first week to two weeks depending upon the severity of the ears. After the 2nd or 3rd day you can clean out the ear with a Q-tip or cotton balls. Treat as often as required to maintain ears. When using a Q-tip, only insert it as far into the ear canal as you can actually see. Use care to prevent ear debris from falling down into the ear canal. If irritation occurs due to treatment or in case of severe infections, discontinue use and consult a veterinarian. Witch Hazel - is an astringent and topical antiseptic. Boric Acid - is a soothing white crystalline substance with mild antiseptic, antifungal, and antiviral properties. Gentian Violet - belongs to the group of medicines called antifungals. 250ml flip top bottle for easy application. Malassezia pachydermatis(yeast)is sometimes associated with ear problems, especially following treatment for pseudomonas bacteria. Gentian Ear Treatment helps dry up moisture in the ear and hasten healing while killing bacteria that may cause a secondary infection. It can be used as a routine preventative ear cleaning solution.